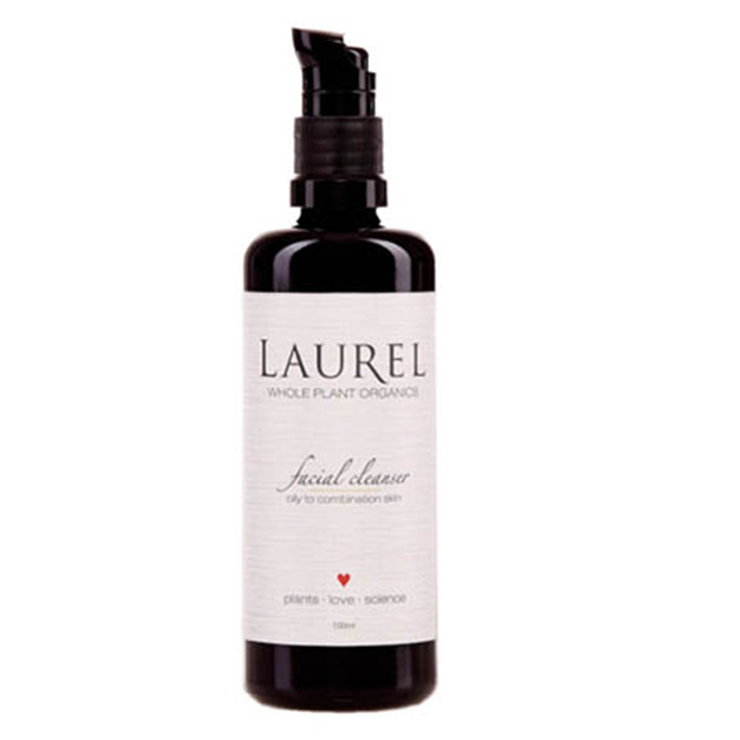 Effectively cleanse skin of dirt, excess oil, and makeup with the Facial Cleanser perfect for oily or combination skin by Laurel Whole Plant Organics. This pink creamy cleanser contains 23 beneficial ingredients that gently and effectively cleanse skin. A whole plant blend of burdock, licorice, echinacea, dandelion, and chamomile encourage a healthy, detoxified feel, while a fruity blend of therapeutic grade essential oils offer a sense of healing and balance, leaving the complexion looking clear and calm. Moisten hands and face with water. Shake cleanser well prior to each use. Pump a dime size (8-10 pumps) into finger tips. Massage well over skin, especially in problem areas or on heavy make-up around eyes. Rinse well several times or remove with warm towel. Using a warm towel will easily cleanse away make-up; wash twice for heavy make-up. Please note, for initial use you must SHAKE WELL. If cleanser pumps clear, it hasn’t been shaken enough.